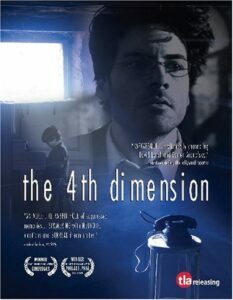 A superbly crafted, dark and meditative film, delving into the supernatural, quantum physics, psychosis and other unseen dimensions. A superbly crafted, dark and meditative film, delving into the supernatural, quantum physics, psychosis and other unseen dimensions that should (perhaps) be left unexplained. It’s tempting not to give away the farm here, so you can experience this disturbing film for yourself in a “Blair Witch” sort of way. But I am also aching to tell you that the last ten minutes pulls the entire film together. So there–as you sit through the first 70 excruciating minutes, bear in mind that relief will come. (And if you want to know what happens, read the spoiler commentary). 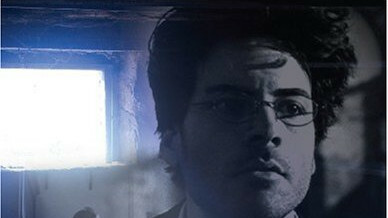 The story is a depiction of how Jack (played by Louis Morabito) sees life. Prior to the film’s denouement, the film is in crisp black and white, with a dreamlike 1930s feel to it (think Metropolis or Charlie Chaplin). At the point the story begins to unravel (or make sense), we change to color. As co-directors Tom Mattera and Dave Mazzoni describe it, that’s when reality sets in for Jack. That’s also when the audience realizes what the film is all about. The soundtrack is an original score by John Avarese, industrial techno instrumental music that brings to mind the music of Eraserhead. It adds to the depth of the anxiously impending dread throughout the film. I would have given the 4th Dimension 4 out of 5 stars, if it hadn’t been for the Q&A session after the screening. This nudged it into the 5-star zone. As with many offerings in a film festival, the director, actors, producers, etc. may be on hand. After the movie was shown here at the Philadelphia Film Festival, the emcee at the International House (U of Penn campus) introduced the entire cast, along with the co-directors, and invited the audience to hit them with questions. We don’t really get a sense of place until the last 15 minutes of the film, where Jack is riding a SEPTA commuter train (SEPTA is Philadelphia’s regional rail line). He ends up walking through a field to a series of abandoned stone buildings. This is, or was, the Philadelphia Hospital for the Insane, or Byberry State Hospital as it is more commonly called. According to Weird USA, Philadelphia State Hospital in Northeast Philadelphia’s Byberry section, was closed in 1990, and has since been left to deteriorate. In its heyday, it had over 50 buildings and housed 7,000 patients. Today there are about 27 huge buildings left, all connected by tunnels, some of which can be accessed in the basements of buildings. After it was closed down, many of the thousands of patients were reportedly just ‘let go.’ Local lore has it that the some of the homeless people who’ve taken up residence in the dozens of building ruins are former residents who’ve made their way ‘home.’ Such is the story of our main character in The 4th Dimension. In the final minutes of the film, we see Jack locate his former cell (may as well call them that-the hallways look exactly like the cell blocks at Philadelphia’s Eastern State Penitentiary), wherein he screams and stabs at his notebook of scientific calculations with a mixture of terrifying frustration. During this emotionally wrenching scene, his case worker (played by Kate LaRoss) finds him, and we assume she leads him to a safer place. Why was Byberry used in the film? Co-directors Dave Mazzoni and Tom Mattera grew up with the legends and physically in the neighborhood. Byberry is one of the more popular local destinations for urban decay thrill seekers. Many like to be spooked by old padded cells and solitary confinement rooms. Mazzoni and Mattera wanted to acknowledge Byberry’s presence, its ghosts, and its effect on the neighborhood before it is demolished. The film was a 4-year project and Byberry State Hospital is scheduled for demolition in 2006.